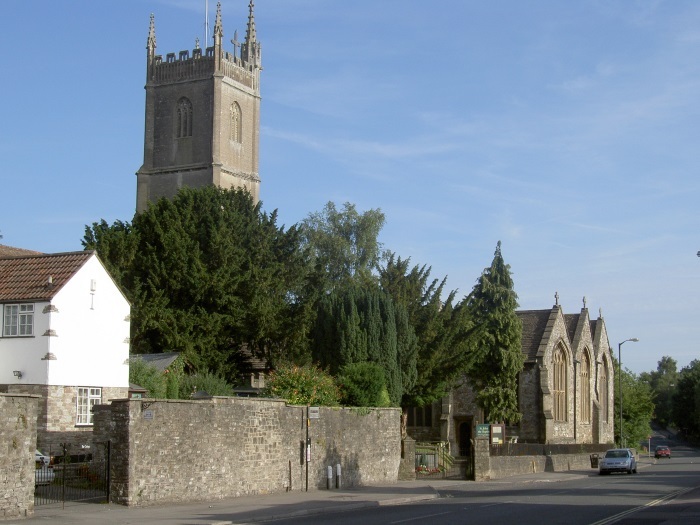 Chipping Sodbury is an ancient market town which, although not far from Bristol, has retained its country atmosphere. The town’s name ‘Chipping’ comes from the old word for market and Sodbury is recorded in Anglo Saxon as Soppanbyrig which meant Soppas fort or Soppas stronghold. Archaeological evidence places human activity in the Sodbury Parish centuries before the Norman Conquest. In 1086, at the time of the Domesday Book, there existed two estates, or manors, known as Sodbury. One centred on Little Sodbury and the other on Old Sodbury. 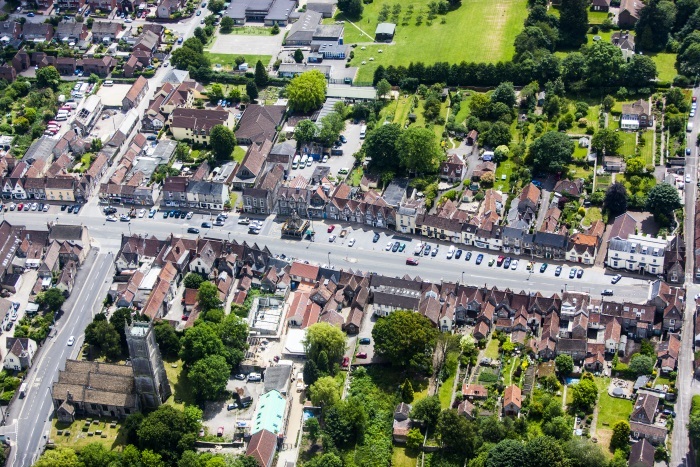 In the 12th Century the then owner of the Sodbury Estates, William Crassus, planned a ‘new’ town based on a grid pattern, with long strips of land known as burgage plots with narrow dwellings fronting the wide market street, the layout of which remains largely unaltered today. The feudal system of burgage plots created a medieval middle class of tenants, Burgesses, who paid rent to the local landlord enabling them to earn a living at their various crafts and businesses. The prefix ‘Chipping’ was added when William Crassus was granted a Royal Charter in 1227 to hold markets on his land. Chipping Sodbury became known in particular for its weaving and leather trades. The town was built on raised ground, close to the River Frome, and at an important crossing on the Bristol to Cirencester Road. This was also along the ancient salt route from Droitwich and the Pilgrims Way. The High Street is thought to be one of the widest streets in England, in part because of the substantial market held in the middle ages. Also in medieval times and up to the late 18th century buildings stood in the middle of Broad Street – the Shambles or Butchers’ Quarter near the Wickwar Road end and the Market Building near the town cross. William Crassus obtained the right to hold an annual fair on the name day of St John the Baptist, the dedication of the parish church, 24th of June. Later, the town also began to hold ‘mop’ fairs for recruitment of agricultural labourers. Both fairs continue to this day although they are no longer about the hiring of workers. St John the Baptist Church was built in 1284 on a small site close to the river. As congregations swelled over the centuries it became a substantial church. The architect of the Royal Courts of Justice in London, GE Street extensively restored the church during the Victorian period. The church has an unusual pillar pulpit and a 13th century octagonal bowled font. St Katherine’s chapel, named after the patron saint of weavers, houses the tomb of Sir John Walshe of Little Sodbury Manor who employed William Tyndale as a chaplain and tutor to his children. William Tyndale began his translation of the New Testament into English in 1522.